"Stuck in the worst airport ever?" 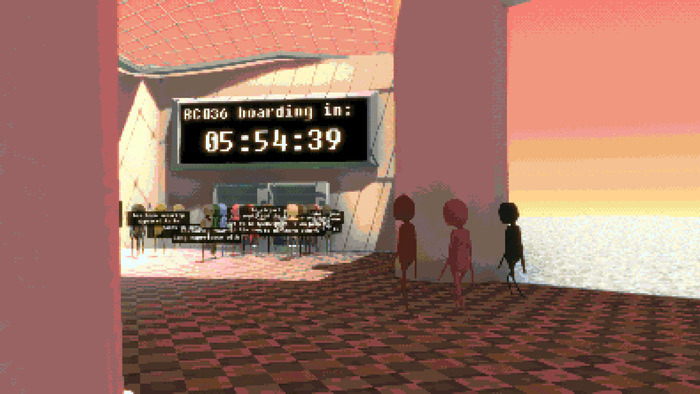 Brownie Cove Cancelled is a bizarre and surreal simulation game where waiting for your flight back to Brownie Cove the speaker system announces there will be a delay to your flight, so there is nothing left to do except explore the airport, although there is no shops and only one small waiting area, and because you have passed security there is no going back outside of the airport. Luckily to keep things interesting you can hear conversations of the other people waiting for their delayed flight, this is shown as text coming out of their heads and much of it is disjointed and doesn't make a lot of sense although many people have opinions on the airport terminal and the delay of your flight, as you wander around the terminal you will start to see some odd sights also. 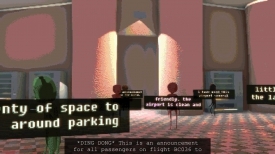 If you are in the mood for something very unique and different then Brownie Cove Cancelled could be for you, although the walking can at times feel very slow and make it quite tedious moving around the airport terminal. You are able within the waiting area to pass the time quicker and bringing it closer to hopefully when you flight leaves. 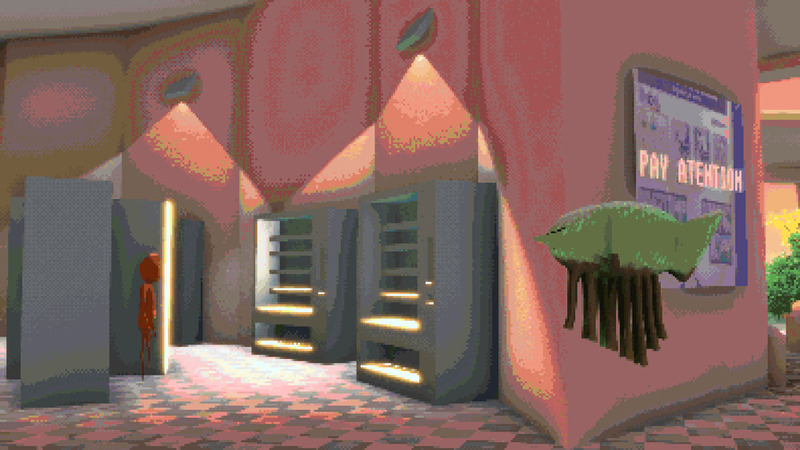 A strange and surreal game, you can download Brownie Cove Cancelled here for free.